Are rug pads important? (Answer: yes!) Here are the answers to all your rug pad-related questions. 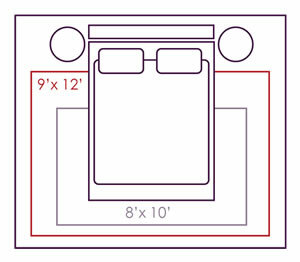 What is an area rug pad? Good question. A rug pad is an extra layer of protection that goes between your area rug and your flooring. There are two basic types of rug pads to choose from. One is a non-slip rug pad made usually of polyester or rubber that provides a strong grip, enough to keep even the most slippery rugs in place. The other type is made either of felt or polypropylene to add a level of cushion beneath your rug as well as protection for your floor. Rug pads are essential in protecting both your rug and the surface beneath it. But what do they really do? Here are four reasons why investing in a rug pad is one of the best ways to protect your new rug. Rug pads create a non-slip or gripping layer between your rug and the surface beneath it, making sure the rug stays put. Plus, your rug won’t move around during vacuuming or cleaning. Without a rug pad, dirt and debris can catch underneath your rug and scratch the floor beneath it. A rug pad creates a layer of protection above your floor and prevents scratching. A rug pad will add some squish beneath your carpet for added comfort. Last but certainly not least...protect your new rug! 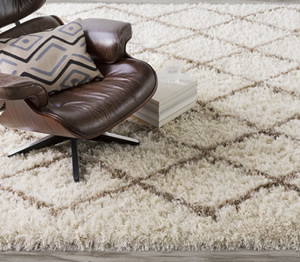 You’ve spent all this time, effort and money on the perfect new rug for your space. Why waste it? Adding a rug pad will keep the back of your new rug from wearing out and extend your rug’s longevity. Also, a rug pad will ensure that dirt and debris stay out of your new rug, keeping it clean and fresh. Okay, you’ve convinced me. Where do I find the perfect area rug pad for me? Here at The Perfect Rug, we offer a cushioned rug pad and a non-slip rug pad. The Cushioned Rug Pad is a polypropylene rug pad made from sustainable post-consumer fiber for long lasting cushioned comfort and protection. The Sure Grip Rug Pad is a polyester non slip rug pad that will keep your area rug safely and firmly in place. Choose this pad if you value a strong grip above all else. Stuck on which to choose or have more questions? Feel free to email customerservice@theperfectrug.com.